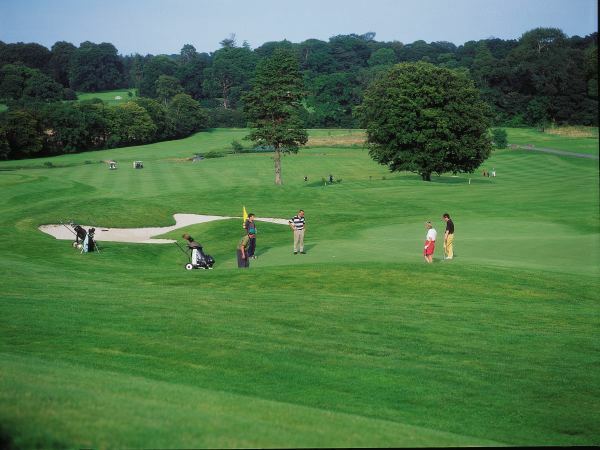 " /> Designed by Christy O'Connor Jnr and Peter McEvoy the par 72 championship parkland golf course at Rathsallagh has rapidly taken its place as one of the top golf courses in Ireland. An admirable sense of style, characterised the birth of this development, which nestles beneath the Wicklow mountains, 4km (2 miles) from Dunlavin. 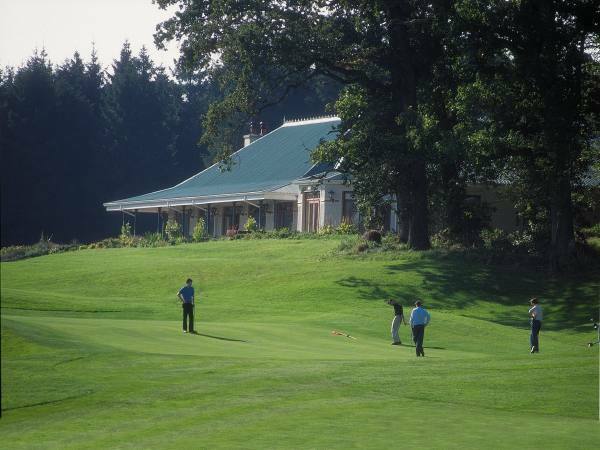 Construction work on the course began in February 1993 and a feature of the layout is the way the architects followed the lie of beautifully rolling terrain, while preserving the many fine trees on the 252-acre site. 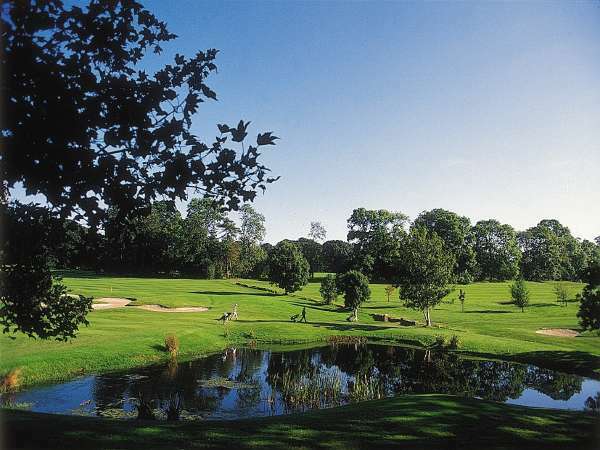 The result is a classic parkland stretch measuring 7,200 yards from the Medal Tees which rises and falls close in the shadow of giant beechs, oaks and limes. 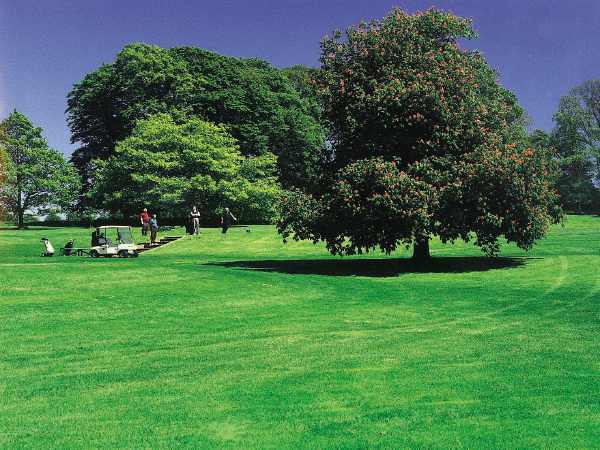 Indeed certain holes, such as the par-four second, are played through an avenue of trees where tee shot placement is essential to give you a view of a green that is well guarded by bunkers on either side. Water is encountered on five holes with several lakes and small streams meandering their way accross the fairways creating a USPGA feel about the design. This is felt most spectacularly on the eighth, a wickedly testing, par-five which doglegs to the right where the emphasis is again on tee shot placement. 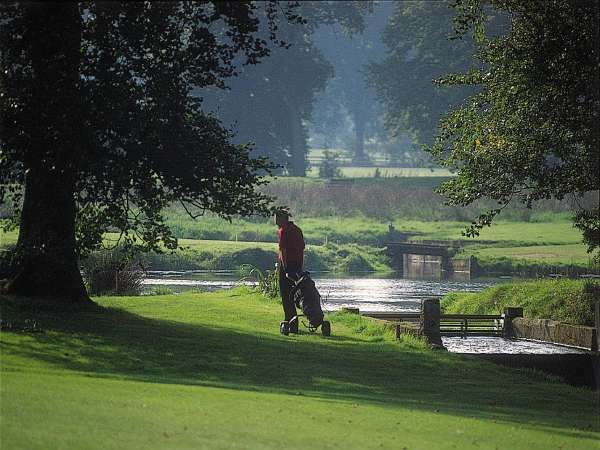 The undulating countryside creates the perfect golf terrain which proves a great test for golfers but is fair to all and the greens are also invariably immaculate to putt on.